Well, the predictions were correct. The Blizzard of 2016 brought record-breaking snow to the Northeast over the past two days. Starting late Friday night/early Saturday morning and falling steadily at a rate of 1 to 3 inches per hour through early Sunday morning, 30.5 inches were recorded at Kennedy Airport, 27.9 at LaGuardia and only 23.4 in Islip. 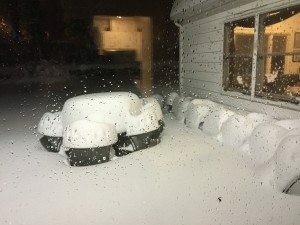 According to reports, at least 30 people were killed during the storm, with several the result of heart attacks that occurred while shoveling the snow. The areas from northwestern Virginia to south-central Pennsylvania were hit the hardest. According to a National Weather Service spotter, a whopping 42 inches of snow were reported near Glengary, West Virginia, while Harrisburg, Pennsylvania, was blanketed with 34 inches. 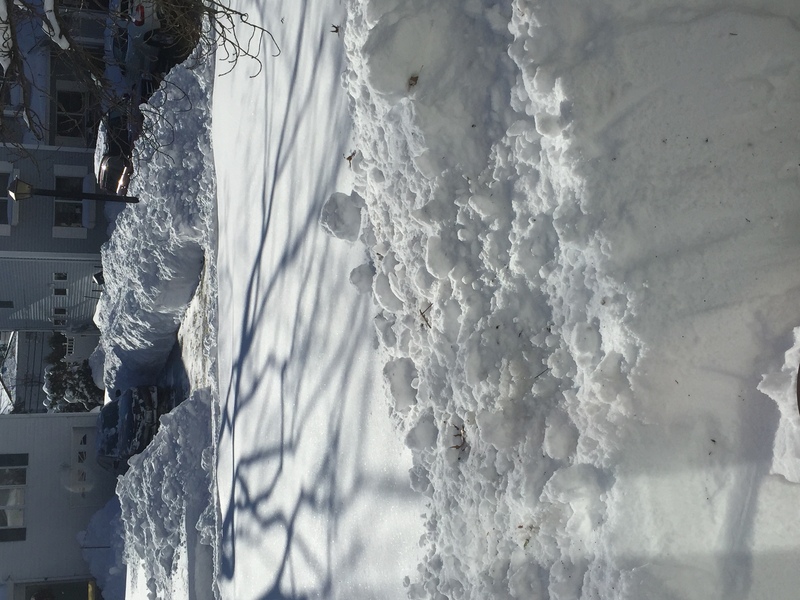 While clearing your driveway and sidewalk, bending and lifting of heavy snow can put you at serious risk for orthopaedic injury and place undue stress on your heart. 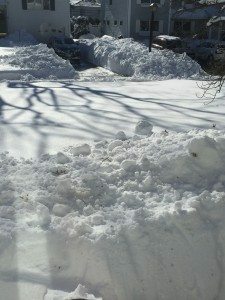 Snow removal can be especially dangerous if you do not exercise regularly. According to the U.S. Consumer Product Safety Commission, more than 200,000 people were treated in hospital emergency rooms, doctors’ offices and clinics for injuries that occurred while shoveling or removing ice and snow manually and more than 25,000 people were injured using snowblowers in 2014. Dress in layers. Light, layered, water-repellent clothing provides ventilation and insulation. Wear appropriate head covering, thick socks and gloves or mittens that will keep your hands warm, dry and blister free. Choose shoes or boots that have slip-resistant soles. Start early. Clear snow early and often—particularly during a large snowfall. Begin shoveling or snowblowing when there’s just a light snow covering on the ground to help prevent the potential injuries that come with moving packed, heavy snow. Make sure your vision is unobstructed. Be sure you can see the area where you are shoveling or snowplowing and be on the alert for ice patches and uneven surfaces. Don’t let a hat or scarf block your vision. Check with your doctor if you have any medical problems. Clearing snow places a great deal of stress on the heart, so if you have a medical condition or don’t exercise regularly, speak with your doctor before shoveling or snowblowing. Consider hiring someone to remove the snow, rather than doing it yourself. Warm up first. Shoveling can be a vigorous activity. Before you begin this physical workout, warm up your muscles for 10 minutes with light exercise. Pace yourself. Snow shoveling and snow blowing are aerobic activities. Take frequent breaks and prevent dehydration by drinking plenty of fluids. If you experience chest pain, shortness of breath or other signs of a heart attack, seek emergency care. Proper equipment. Use a shovel that is comfortable for your height and strength. Space your hands on the tool grip to increase your leverage. Proper lifting. Try to push the snow instead of lifting it. If you must lift, do it properly. Squat with your legs apart, knees bent and back straight. Lift with your legs. Don’t bend at the waist. Scoop small amounts of snow into the shovel and walk to where you want to dump it. Holding a shovelful of snow with your arms outstretched puts too much weight on your spine. Never remove deep snow all at once, do it a little at a time. Safe technique. Don’t throw the snow over your shoulder or to the side, which requires a twisting motion that stresses your back. Proper supervision. Don’t leave the snowblower unattended when it’s running. If you walk away from the machine, turn off the engine. Never let children 15 or younger operate snowblowers and keep them at a safe distance when snowblowers are in use. Safe fueling. Add fuel before starting the snowblower. Never add fuel when the engine is running or hot. To avoid being overwhelmed by engine fumes, always fuel your snowblower outside rather than in a garage, shed or enclosed area and don’t operate the machine in an enclosed area. Stay away from the engine. It can become extremely hot and burn unprotected flesh. Use the pull-cord safely. To start a machine with a pull-cord, hold the cord firmly and stand with feet wide apart in a broad stance. If the cord doesn’t move freely, don’t force it. Sharply pulling a nonmoving pull-cord may cause an injury to your upper body or back. Watch the snowblower cord. If you’re operating an electric snow blower, be aware of where the power cord is at all times. If the cord becomes caught in the machine and is severed, or comes in contact with the engine and burns, you could receive a shock or become electrocuted. Don’t tamper with machinery. Don’t remove safety devices, shields or guards on switches—and keep hands and feet away from moving parts. Understand your machine. Read the instruction manual prior to using a snowblower, familiarizing yourself with specific safety hazards and unfamiliar features.